15 PC. 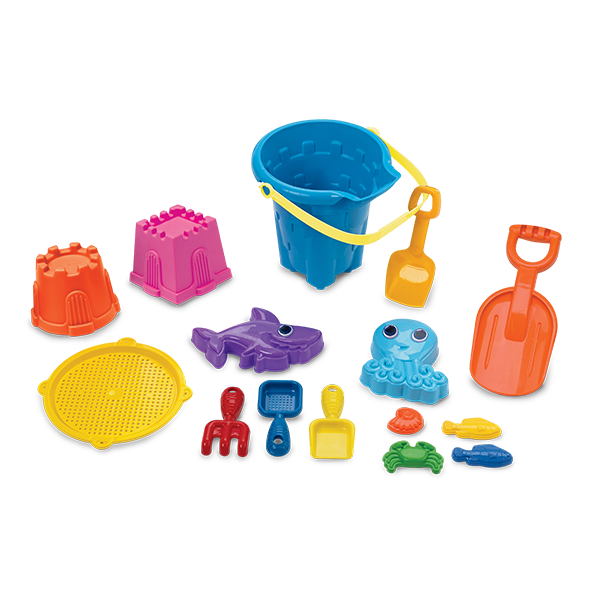 SAND BUILDER'S SET | American Plastic Toys Inc.
Get all the beach day necessities! This 15-piece beach assortment includes shovels, sand molds, and more.